Summer is here and your family is probably spending a lot more time in your backyard. The kids are running through the sprinkler and kicking the ball around on the lawn. 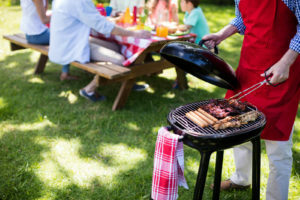 You are hosting barbeques for neighbors, family and friends. The last thing you want is for someone to step on a landmine of doggy doodoo or have an infestation of flies spoil the food. 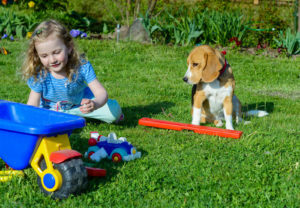 Enjoy a clean yard this summer by hiring Scoopy Doo’s of Longmont for affordable pet waste service. Houseflies are suspected of having a role in transmitting over 65 diseases, including bacterial infections (such as salmonella), viral infections, skin and eye infections, and intestinal worms. Clearly, we want to do everything possible to avoid attracting these disgusting insects to our backyard parties! Scoopy Doo’s in Longmont will keep your yard clean and significantly reduce unwelcome flies with our pet waste service- call us to set up a visit before your next barbeque! Last month we discussed the diseases people could potentially contract through their pet’s waste. This month we will list the diseases our beloved pets could succumb to via another dog’s feces. 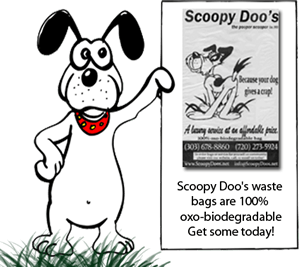 Scoopy Doo’s in Longmont understands how much you love and want to protect your pet, and our dog waste service is a very effective way to ensure their health! Tapeworms: Although a dog can only contract tapeworms by eating infected fleas, lice or rodents, the tapeworm’s life cycle involves shedding through stool. Other Intestinal Parasites: Roundworms, hookworms and whipworms all lay eggs that come out in the infected dog’s bowel movement. Other dogs can become sick when they eat contaminated soil, drink contaminated water or lick their contaminated fur or paws. All of these worms cause malnutrition and diarrhea but hookworms can also cause blood loss. Giardia: Puppies are at the highest risk of infection, but all dogs can become ill from this parasite that is shed in feces. Parvovirus: This virus is shed in enormous amounts through the stool of an infected dog, is highly contagious and can survive for months outside of a host- even in freezing temperatures. It causes severe vomiting and bloody diarrhea by attacking the gastrointestinal tract and there is no cure. Dogs who are very old or very young or have a compromised immune system may not be strong enough to fight through parvo. 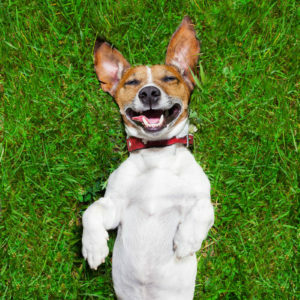 It’s important to note that with warmer temperatures, comes an increase in the spread of canine viruses so hiring a dog waste service like Longmont’s Scoopy Doo’s is even more beneficial for the months ahead! And just so we don’t end this month’s news on a down note, here is a link to a wonderfully uplifting story about a shelter helping handicapped service dogs! Besides minimizing the mess and smell, Scoopy Doo’s of Longmont advocates hiring a regular pet waste removal service to prevent the spread of infectious diseases. The Centers for Disease Control and Prevention state that “Although germs from dogs rarely spread to people, they might cause a variety of illnesses, ranging from minor skin infections to serious diseases.” Below is a list of diseases transmitted through infected dog waste that can cause human illnesses. Campylobacteriosis– One of the ways this disease can spread is by contact with the stool of an infected dog, which may show no symptoms of being sick. People who contract campylobacteriosis will experience fever, abdominal pain, and diarrhea. 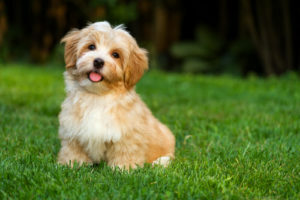 Tapeworm– Although fleas are required to complete the transmission of tapeworm from infected dogs to other animals or people, feces is part of the process. Hookworm– The larvae of this parasite embeds itself in the skin when a person walks, kneels or sits on ground that is contaminated with infected stool. Itchiness and a red squiggly line just under the skin are telltale signs of hookworm. Roundworm– Children are most likely to contract roundworms by accidentally swallowing an egg after coming in contact with a contaminated area. This parasite can invade the retina, liver, lungs or central nervous system. Giardia– This parasite can cause nausea, vomiting, cramps, diarrhea, greasy stools and dehydration for 1-2 weeks. If a dog is infected, people can contract giardia through their contaminated stool. 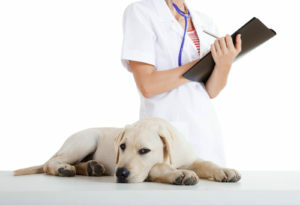 Salmonella– If a person contracts salmonella through contact with a dog’s infected stool, they will become ill with vomiting, fever and diarrhea. If you’ve been debating whether or not to hire a pet waste removal service, hopefully this information has helped you decide it’s worth it- if so, give Scoopy Doo’s in Longmont a call today!